Through our Ability Rehabilitation Early Return To Work (ERTW) program, we provide workers’ compensation and disability rehabilitation uniquely designed for the “industrial athlete” to help them get back to work as quickly and safely as possible. Each piece of the ERTW program is designed specifically for your business and industry, meaning we work with you to develop world-class prevention strategies and work-specific rehabilitation protocols to ensure your employees miss as little time as possible and, if they are injured, are empowered to achieve their rehabilitation goals. A comprehensive four-hour analysis founded on the ERTW protocol Model – our software system provides a thorough review based on factual, objective evidence. Available for Disability Examinations for both “Own Occ” and “Any Occ” applications. The job generic report is utilized as a vocational tool to allow placement of the individual in the generic field of work. A short, thirty-minute test outlining the fundamental and critical demands of the job. 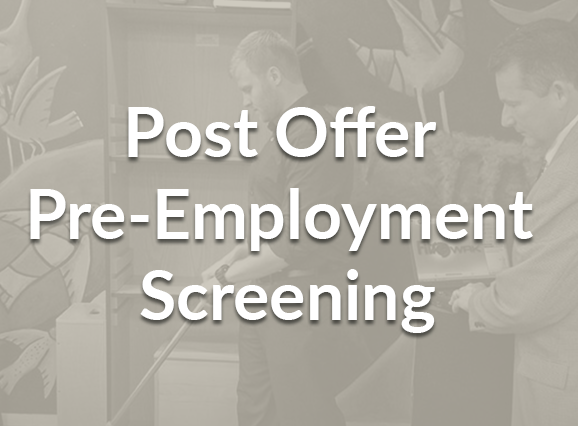 Every screening is customized to meet employer needs and goals. The analysis enables employers to determine if a new employee is physically fit and able to perform the job they were hired to do. It also sets up an employee baseline and weeds out any pre-existing conditions. 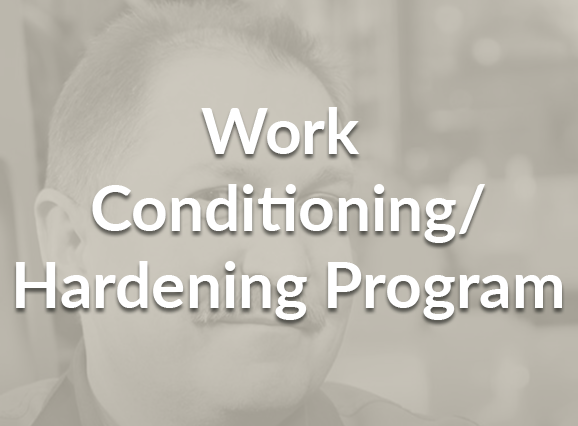 The Work Conditioning / Physical Reconditioning / Work Hardening program is designed to meet the specific needs and goals to secure a safe and consistent return to work for employees. The two to four-hour sessions will focus on restoring strength, improving conditioning, implementing appropriate lifting mechanics, and job simulation activities. An on-site review at the employer’s premises evaluating the fundamental and critical demands of the job. A detailed report (including pictures and graphics) of functions and high-risk tasks will be provided.The Workstation Assessment is designed to meet the specific employer needs and goals to secure a safe and consistent return to work for employees. 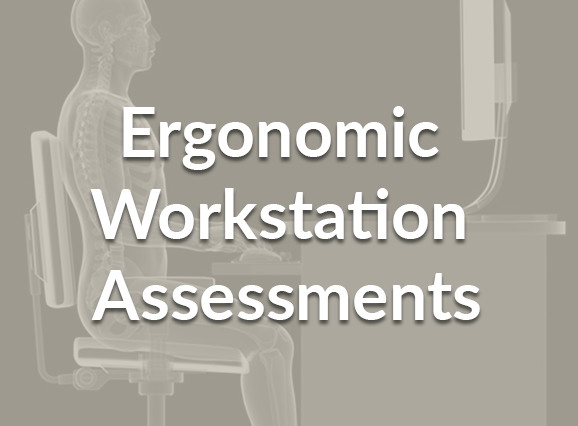 The assessment utilizes our specially-designed workstation & postural assessments and is performed onsite at the employee’s location of work. 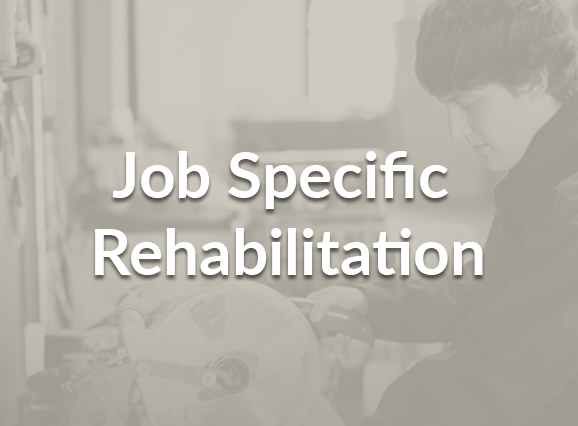 A physical therapy program based on the unique demands and characteristics of the position will be designed to incorporate job-specific rehab throughout treatment. 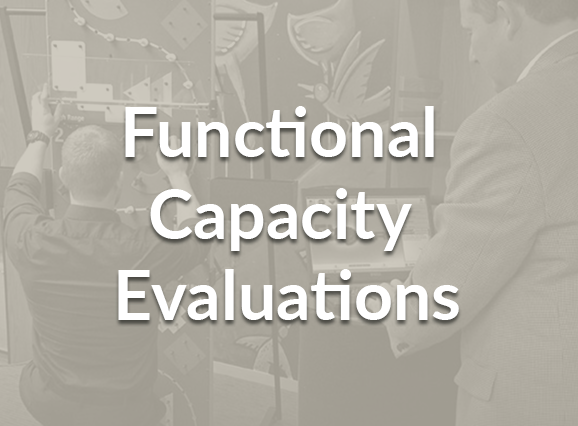 A brief test – approx 15 to 30 minute examination that looks at the essential and critical demands of the job. Similar in nature to a post offer screen but used fro transfer of employees from a lesser physically demanding job to that of a higher physical demand. Assists Employer in mitigating risk. A certified therapist/clinician will work on-site several hours per week to encourage and support educational activities, implement fitness programs, and deal with any soft tissue injury complaints before they become recordable events. 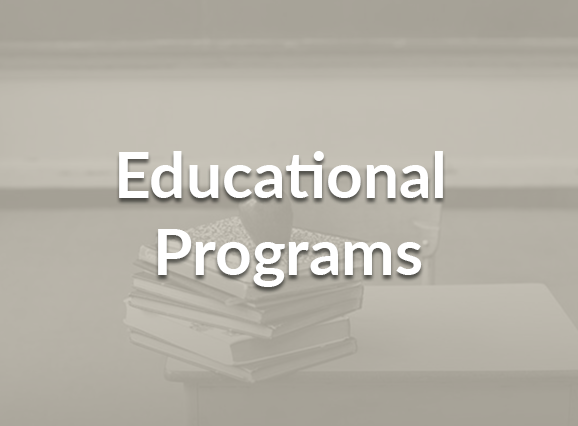 We provide a full array of educational programs geared toward professional employer staff or the general employee population. Themes include slip and fall, back and neck injury prevention, safe lifting, and many more. 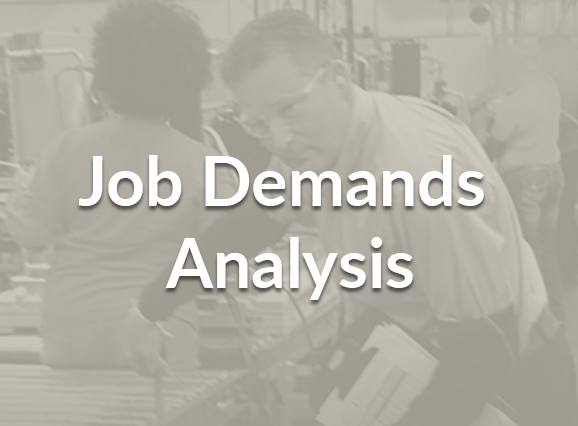 A short 30-minute test that analyzes the vital and critical elements of the job. The body part-specific analysis repeated as needed depending on the risk of the position. The therapist will look for patterns or tendencies that harm or weaken range of motion and strength of the employee. 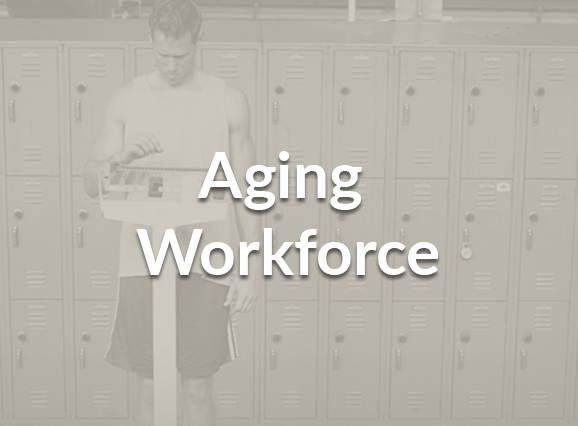 Specially-designed stretching programs based on job risk and past injury determinations. The program is conceived for employee participation before work, after lunch, and at the end of the workday. A custom-built strengthening program designed to maintain the physical abilities necessary to perform everyday work duties.